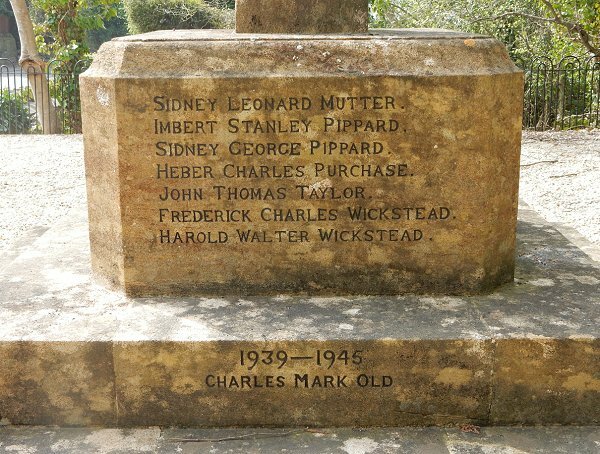 Although Preston Plucknett was not absorbed within the boundary of the Borough of Yeovil until 1929, I have nevertheless included the Preston Plucknett War Memorial in the A-to-Z of Yeovil's History website and similarly included those men of Preston Plucknett who died in the First World War in the list of Yeovil's Fallen. 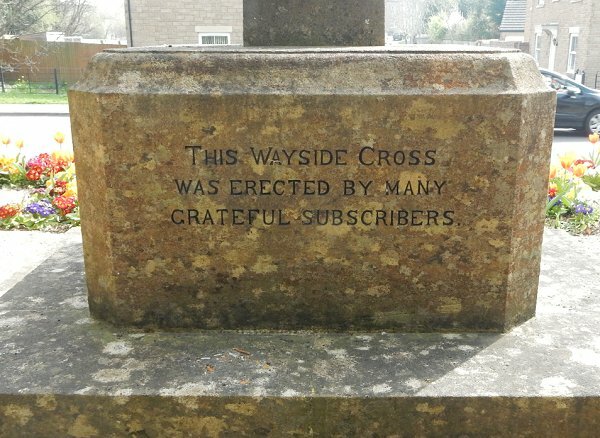 It was agreed to erect a war memorial in Preston Plucknett at a parish meeting in October 1919 and a door-to-door collection raised £170. 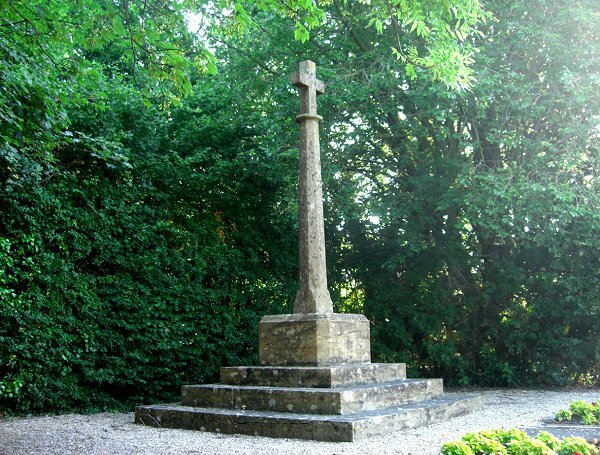 The memorial, in the form of a Ham Hill stone cross on a raised stone plinth, was made by the Ham Hill Company. It was initially positioned close to the road in an orchard belonging to Richard Ponsonby-Fane of Brympton d'Evercy but in the late 1990s re-positioned to its present location, almost opposite the Bell Inn, due to road widening. 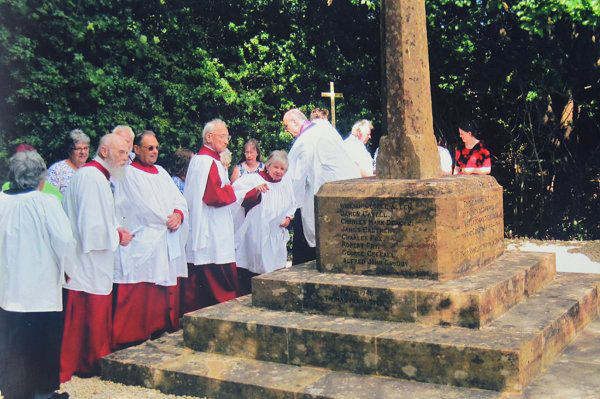 The memorial was dedicated, with some ceremony, on 6 July 1920 with the Vicar of St James, some twenty ex-servicemen and local people. The memorial was draped with the Union Flag and the White Ensign, which were removed by two ex-servicemen during the ceremony. The names of fifteen Preston Plucknett men who gave their lives in the Great War were inscribed on the monument - three of the names also appear on the War Memorial in the Borough. 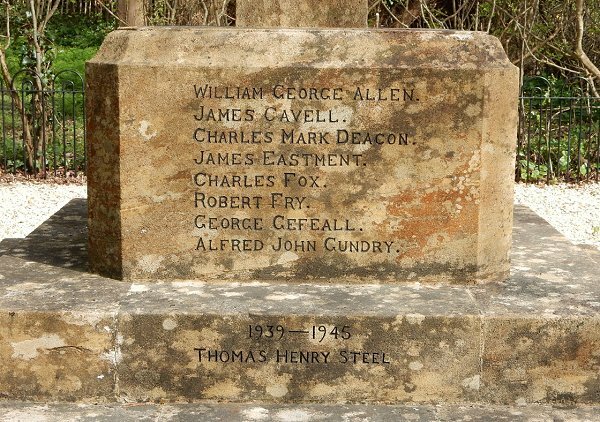 The names of two local men who died in the Second World War were added later. 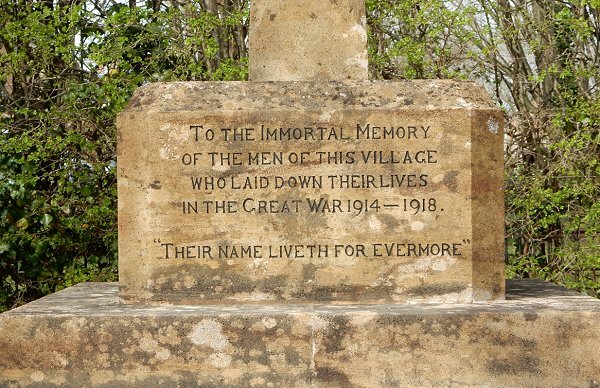 For individual pages on those Yeovil men who fell in the First World War - click here. 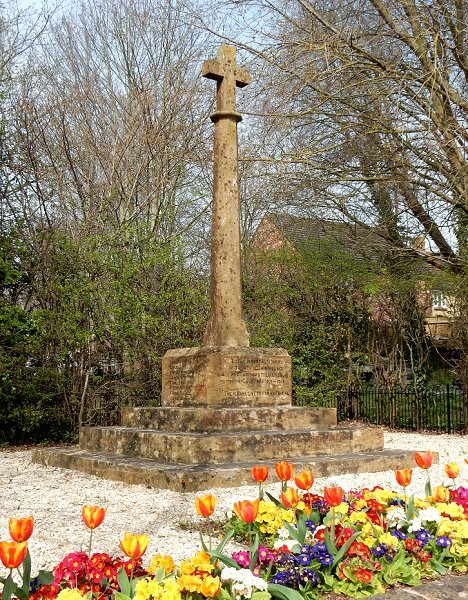 Preston Plucknett War Memorial, photographed in 2014. 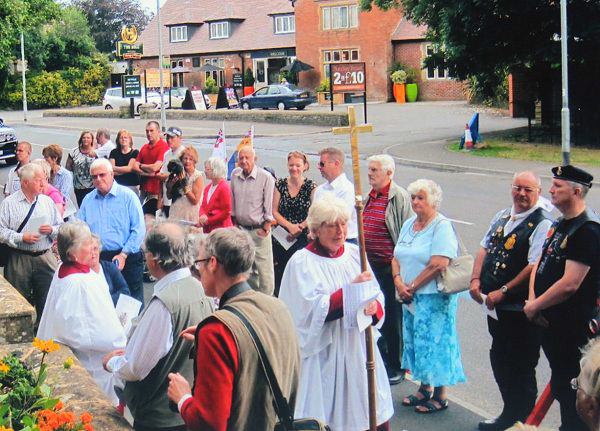 The re-dedication of the Preston Plucknett War Memorial, 3 August 2014. .... and a small crowd watches on. .... and photographed again in 2015. The front panel (facing south, towards Preston Road), photographed in 2015. The panel facing west, photographed in 2015. The panel facing east, photographed in 2015. The panel facing north, photographed in 2015.